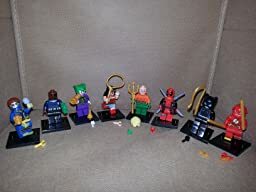 Yes, this is an awesome assortment for any DC and Marvel lover to include collectors. 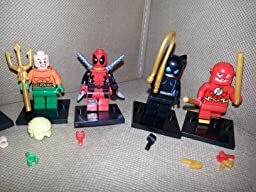 Having three kids made this an easy choice with them too, my daughter chose Wonder Woman and Cat Woman while my sons divvied out Deadpool, Aquaman, Cyborg, The Joker, Cyclops, and The Flash. Male-Female no issues here it was just that she really wanted female super hero figurines; it is very difficult finding them! My kids are avid builders also when it comes to building blocks so, these should not have been difficult to put together. 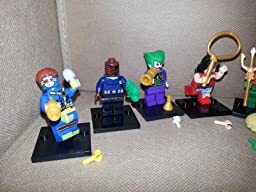 Each figure came in their own little bag so, all pieces were together for each one. The issues: The arms on 80% of them were very difficult for them to snap in. The lightning bolts for The Flash’s helmet are unable to snap on; had to superglue in the end. Aquaman’s hair is also unable to fit on his head ~ not able to glue this one on due to sizing issues.40% of their hands slide out a bit too easily also. Pros: The accessories for each are pretty awesome though; lasso, trident, swords, etc. The attention to detail with the features is really good too. Disclosure: I received this product discounted however; this in no way influenced my review. I only write honest reviews regardless of whether I purchased a product at full price, at a discount, or received it free. DC or Marvel? Which side are you on?